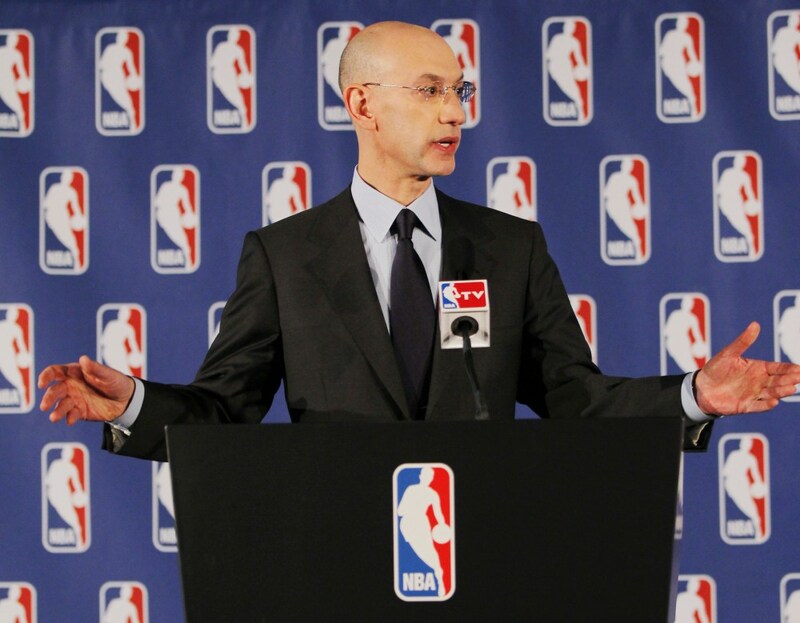 NBA commissioner Adam Silver addresses the media this afternoon regarding the issue of Clippers owner Donald Sterling. 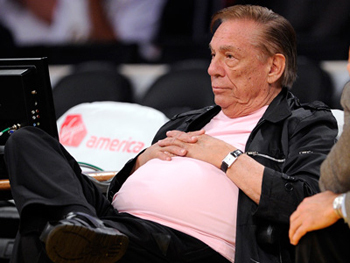 Like a cyst, or a virus or even an ungodly appendage from the human body, the removal of Donald Sterling from the NBA could never be seen as a simple act. But damn if commissioner Adam Silver didn’t prove himself swift with the scalpel. With his announcement this afternoon of the Los Angeles Clippers owner’s immediate lifetime ban from NBA activity as well as a $2.5 million fine (the largest allowed to an owner) and the immediate planning, going forward, of Sterling selling the Clippers, which he has owned since 1981, Silver made the type of impacting decision in the name of right and decency that just doesn’t come enough from sports executives. There was a lot of pressure under Silver, just a couple months into his tenure, to enact something with immediacy and definition to it in the wake of TMZ’s release of some 15 minutes of audio given to them by former Sterling fling V. Stiviano, in which Sterling spoke nastily of black people and of Stiviano taking pictures with such people, even Magic Johnson, one of the most beloved figures both in the NBA and in black America. The public decision was swift — off with his head — especially given the long track record of public statements, lawsuits and believable hearsay attributed to the longest-tenured owner in the NBA. His time had come, no longer could Sterling defame, exploit and down-right fetishize people of color, especially while making a mint off of them (and that’s just describing the athletic exploits, not his long history of housing discrimination). As an issue this Sterling thing hit as raw a nerve as anything to emerge from the world of sports in quite a long time, so you know what that means — noise, and lots of it. A lot of it stupid, much of it pointed and revealing and other still necessary to counter-act the stupid. Sometimes you wish there could be a moratorium on think-pieces in the immediate 72 hours after a complicated issue arises but I suppose that wouldn’t be any righter than forgoing Sterling’s due process, of which he was afforded, even though it was obvious that it was Sterling on the audio from the moment people first heard it. This process went about the way it had to go, the NBA handled it well — measured but with purpose, recognizing the public outcry without pandering to it. The most important issue regarding Sterling and his NBA future was always how the owners and their protective agent, the commissioner, were going to move against him. That’s not saying that the players’ reaction wasn’t important and that them leveraging their power wasn’t key to today’s result, that absolutely was the case. In fact you could say that the players laying out the possibility of a work stoppage during this postseason made the difference in Silver announcing a life-time ban today and not just an indefinite suspension. Without that information from the players’ union, Silver has much less to lean on Sterling’s fellow owners with, they probably buck on a lifetime ban out of fear of themselves being put in such a situation in the future and thus we’re led down the road to Armageddon. All that seriousness, by the way, was established in spite of the Clippers’ playing on Sunday. The Clippers’ themselves showed a lot of spite towards their owner and showed themselves to be professional while having a backbone, not just desperate attention-seekers like so many armchair revolutionaries who will never be in such a position as the Clippers were this weekend. A lot of misdirected blame has gone around in the past few days but luckily among the principal figures in this controversy the main objective was never obscured — the process to rid the NBA of Donald Sterling had to begin and begin immediately. Now that things have gotten in motion, we can expect a fight, Sterling himself is saying as much. You can’t help but figure that his words are simply the remaining flails of an desperately out-of-touch, disgraced individual but he still does have a lot of weapons, including control of the Clippers franchise. That has to change, though, he has to see that. What kind of 81-year-old man would want that kind of weight to carry him to his grave? Maybe we are looking at that kind of man, maybe we’ve already stared into his dead eyes on countless occasions from courtside at the Staples Center. Thankfully, he ruined that for himself and saved us from ignoring it even one game further.